Ah, the storied Cellebrite system. Yes, it's good for in-store transferring contacts for the cloud-challenged and sure, there may be a police department or two potentially misusing it, but we know and love it for one other reason: it's a good sign that carriers are preparing to launch a device. 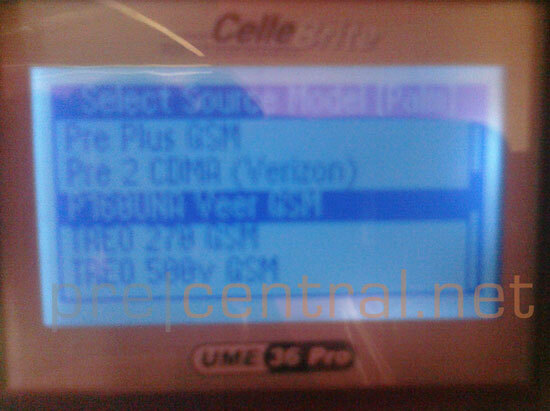 To wit, an anonymous tipster has sent in the above blurrycam shot of a Cellebrite all set to transfer contacts to or from a "P160UNA Veer GSM." Combining that with Veer'd-up Mini Coopers, a leaked shot of a white Veer, AT&T's Pre Plus running out of stock, and a mysteriously cancelled (if only to keep the rabble out) launch party announcement, makes us pretty confident in saying that the little guy should be arriving quite soon on AT&T. Who's planning on picking one up?